Outdoor jacket is no longer a favorite of programmers or middle- and old-aged travelers. 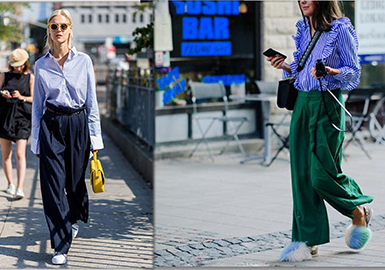 It emerges as a fashion item for street snaps, in line with the Japanese outdoor style. These jackets are warm, functional and stylish, frequently captured by photographers on streets. The tracksuit creates a complete look, paring with funky accessories or a bag for an eye-catching effect. 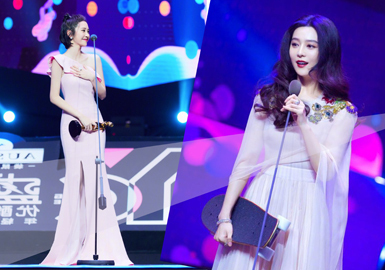 The Young Choice ceremony was held on March 30th, stars including Tamia Liu, Qi Wei, Ma Sichun and Tang Yixin impress us with their cool and stunning dressing. 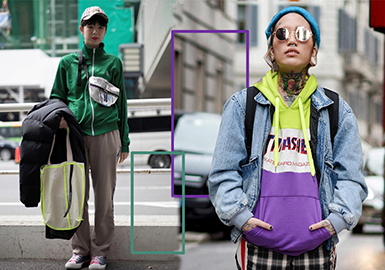 Unisex hoodies sweep the S/S 18 fashion week streets in Tokyo and Seoul. Casual sweatshirts work particularly well in spring, chic and comfy. 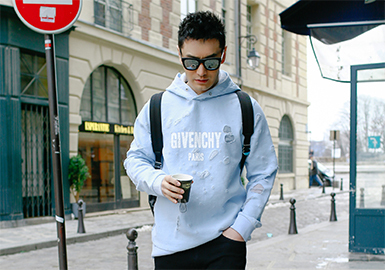 Sweatshirt is essential for all seasons thanks to its comfortable and versatile design. It feels stylish when worn alone or as an inner layer. Sweatshirt pairs with denim jacket, trench coat, coat or leather jacket for an effortlessly chic look. The shirt is a must-have item for girls in spring & summer, whether the plaid shirt or striped shirt is versatile and stylish. A simple shirt made of fine fabric brings you comfortable wearing experience. 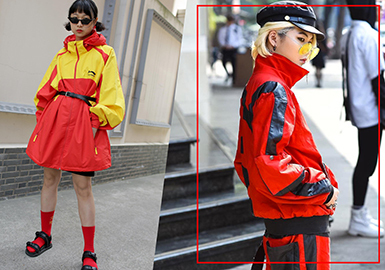 Glossy plastic materials shine with a futuristic and technical touch, therefore many brands provide raincoats, especially the Calvin Klein trench coat (second one from the left) which is so popular that gains much attention. 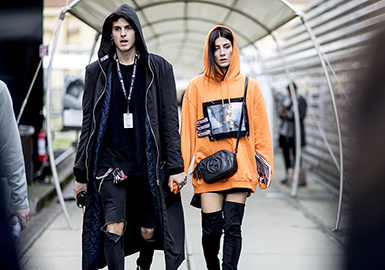 Fur and leather outerwear infiltrated the fashion week streets in four cities. 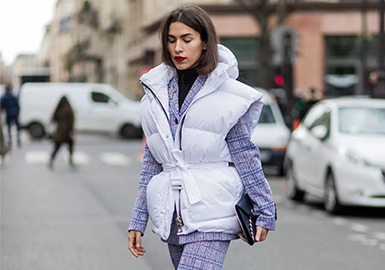 Let's take a look at these stylish items such as cool sheepskin coats, warm furs and graceful leather trench coats at the end of the fashion weeks. Long solid-color trench coats feel cool when walking, reflecting a sharp mood. As a Chinese saying goes: The good rain knows its season when spring arrives, it's getting warmer after several spring rain. 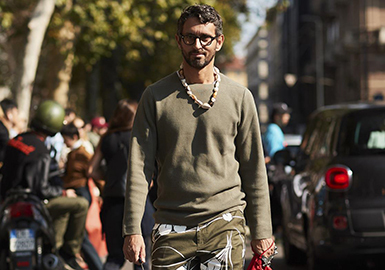 The essential knitwear is a very good choice for spring, it works perfectly with all kinds of coat and it can be worn alone on warm days, not to mention the fact that it can create multiple stylish looks. Picking up a good knitwear to brighten up the spring! 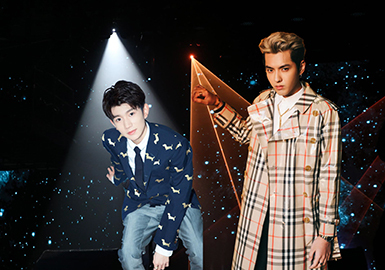 Some new stars rose in 2017, especially Xu Weizhou, Wang Yuan, Wu Lei and Hu Yitian, they gained many fans of the post-90s, and their youthful street styles are ideal for reference. The most fairy dress Round-up, who wins the title of real fairy? 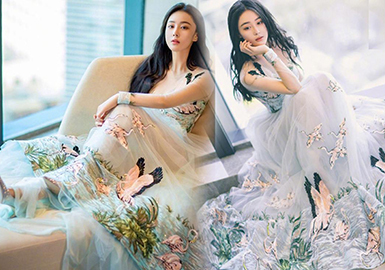 Angelababy showed up at the Golden Rooster and Hundred Flowers Film Festival like a real fairy, she wears resort 2017 Marchesa light green gossamer gown and paired with Chanel fine jewelry. 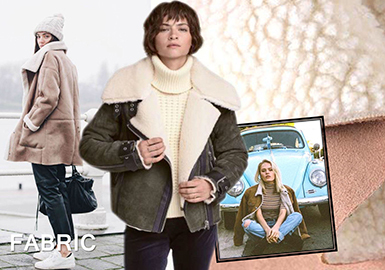 Fashionable and practical quilted jacket down jackets are essential for the cold winter. Different looks convey different mood, get ready to show off your stylish puffers. Simple color scheme and minute decoration create minimalist sweaters, this essential item are gaining relevance and popularity, with its simple contour creating plain yet stylish look. 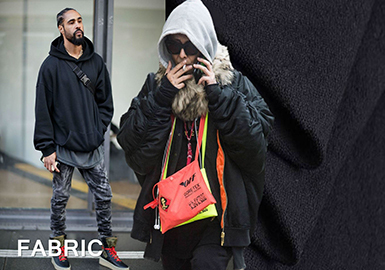 This report is all about the men's outerwear on Hong Kong, New York and Miami streets for spring 2018. Choosing a proper coat and pairs with suitable trousers on certain occasion for an elevated look. 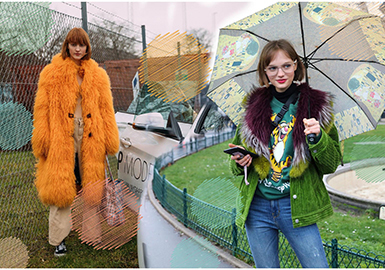 In A/W 17/18, fashionistas and celebrities wear sharp fur-and-leather coats to stand out on streets. Colors feel new, with caramel, Rio red and natural greens to grab attentions, creating hot materials. A new favorite for autumn and winter, jacquard knitwear replaces the solid-color one and teams with different styles, ideal for all occasions for a fresh wearing experience in A/W. 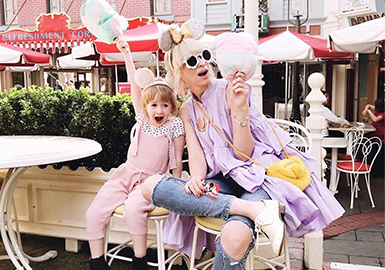 This time, stylish American mom Coury and her daughter Goldie tells you how to compete a parent-child look. 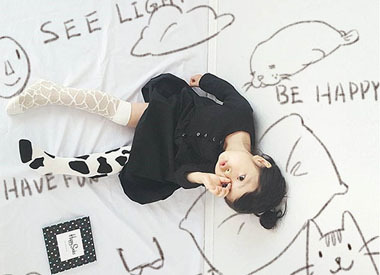 Their dreamlike and girly style gains attention on Instagram, worthy of reference. Ready for Your Second Child? 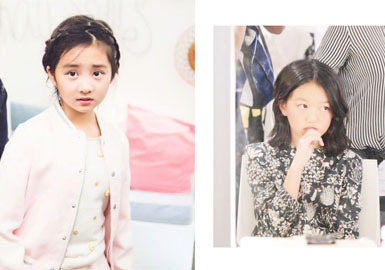 Nowadays, it's getting more common that there are two kids in a family. Wearing the same clothing is more and more popular as it increases intimacy with family member. The hot summer is finally over, and autumn brings coolness. 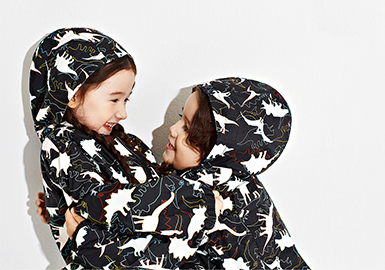 Kids need a jacket to keep warm in the slightly chilling season. 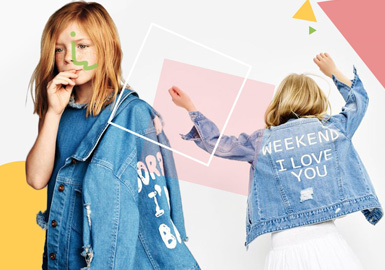 Classic and versatile denim jackets are essential for stylish children. The little fashionistas tell you how to complete a cool style. This report introduces two hot little trendsetters on Wear – Pina & Nana. Their unique styles are worthy of reference. 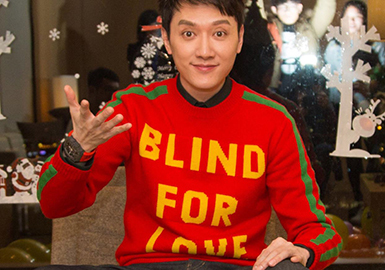 Celebritots make more public appearances, and they play an important role in the fashion world. Two celebritots shine on the S/S 18 Bonpoint kidswear runway. 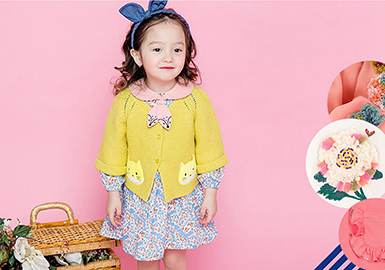 Cute and lively animals such as pandas and swans appear on the clothing, adding a playful and innocent touch.